Barby Ingle has been selected to be the 2015 recipient of the Invisible Disabilities Association’s Impact Award. 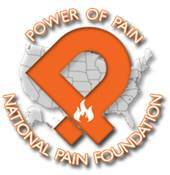 Barby has been chosen based upon her positive impact on the lives of those living daily with pain and neuropathy as the Chairman of the Board of the Power of Pain Foundation. Barby is helping lead the way through POPF in pain education, policy, community and support. Barby advocates for all of those who are challenged with a chronic care conditions involving chronic pain as well as for their family, caregivers, healthcare professionals and public. She believes that invisible disabilities, whether physical or mental pain, can and will consume a person and only the patient can begin the process of healing! Barby’s desire is that her contributions to the pain community will inspire them to be filled with HOPE and motivation. Barby has been battling chronic pain since 1997. First with Endometriosis which resulted in a full hysterectomy and left oophorectomy. In 2002, she developed Reflex Sympathetic Dystrophy (RSD) which is a progressive neuro-autoimmune condition that affects multiple systems in the body and needs to be treated early so that disability does not take over. In addition, Barby developed Temporomandibular Joint Disorder or TMJ. Barby knows firsthand how hard it is to continue looking for relief, perfect answers, all the while dealing with healthcare professionals who disregard or disbelieve what a person is saying about their actual experiences. As she searches for a cure, Barby has become her own best advocate and she works diligently to share her information with others. Even after seeing over 100 healthcare professionals, having major surgeries she didn’t need, complications such as internal bleeding, medication interactions, kidney stones, tumors, severe constipation and so much more – Barby did not give up! She was tested to her limits and realized she was able to at times, push past the boundaries she had placed on herself. Barby became the Chief of Staff of her own medical team. 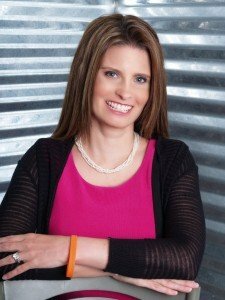 In addition to serving as the Chairman of the Power of Pain Foundation, Barby Ingle is a chronic pain educator, patient advocate, motivational speaker and best-selling author on pain topics. Prior to her auto accident causing chronic pain and subsequent surgeries, she was a business owner, event coordinator and head coach at Washington State University for the spirit program. Barby graduated from the George Mason University in 1994 with a degree in Social Psychology and a minor in dance. Currently, Barby speaks nationally at charity events, awards ceremonies and special venues. She uses her skills from cheerleading to inspire and motivate patients to be self-advocates and offers tips and tools for patients, caretakers and healthcare professionals. Barby is also an author of the Cheertec Coaches’ Handbook DVD Series, RSD in Me!, ReMission Possible, Yours if You Chose to Accept It, Aunt Barby’s Invisible Endless Owie children’s book, and The Pain Code. In additional, she has been featured nationally on The Weather Channel, on The Talk, on Dr. Drew’s Lifechangers, in Redbook Magazine, in Women’sDay Magazine, in First for Women Magazine, and was the Fall 2014 Celebrity Cover Story for Pain Pathways Magazine. Barby’s award was presented at the 2015 Awards Gala on October 23rd, 2015.